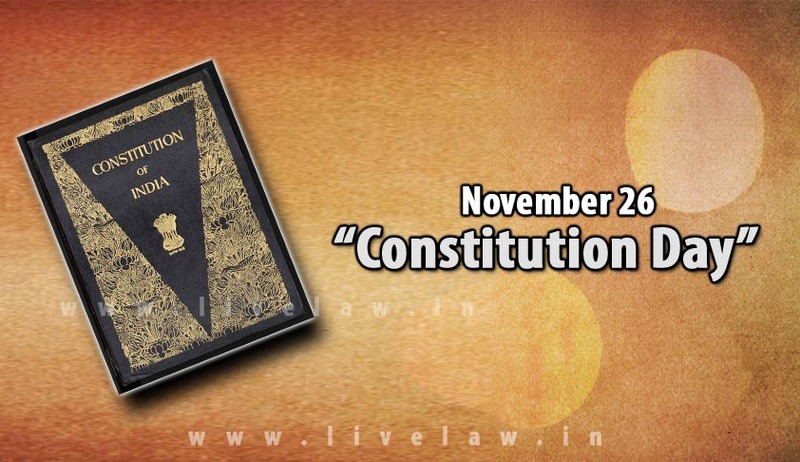 The Government of India has decided to celebrate the 26th day of the November of every year as the "Constitution Day. "The Ministry of Social Justice and Empowerment published notification with respect to this in the official gazette today. The notification says that by celebrating constitution day the government seeks to promote constitutional values among citizens. The nation is also celebrating the one hundred and twenty-fifth birth anniversary of Dr. B.R. Ambedkar this year in recognition of his contribution to building modern India. The people of India, adopted, enacted and gave to themselves the Constitution of India in the Constituent Assembly on the 26th day of November, 1949 to secure to all its citizens Justice, Liberty, Equality and to promote Fraternity among all. The Drafting Committee of the Constituent Assembly, under the Chairmanship of Dr. B.R. Ambedkar, provided its invaluable services in drafting the Constitution of India. Read the official gazette here.